Hear Dotti's new song video "You're Only Human" on YouTube & Several Other Youtube Videos put up! 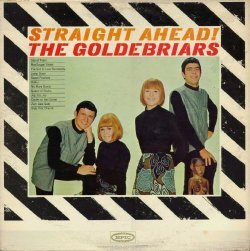 You have now beamed yourself back into the 'Sunshine pOP' era of the sixties where you will get to know THE GOLDEBRIARS, a 1960s group who recorded 41 songs with Epic Records & there were two released albums: "The GoldeBriars" & "Straight Ahead!" Album "Straight Ahead! The GoldeBriars"
Dotti Holmberg's The GoldeBriars' Story "Whatever Happened to Jezebel?" is now available & is based on a diary Dotti kept while in the group.....here you will find the "real scoop" on the GoldeBriars' history & their struggle to climb the ladder of success in the music business! Each eBook contains both English & Japanese Text. 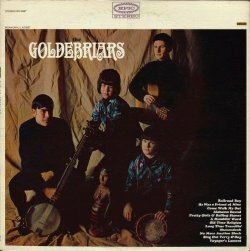 Music collectors will enjoy the GoldeBriars' 1964 performance on ABC Hootenanny Show included with the eBook (before the time of VCR's, so it's actually a copy of the broadcasting film). You will want to surf The GoldeBriars' store to check out other sixties-related products presented by Dotti Holmberg, Ex-GoldeBriar Girl.